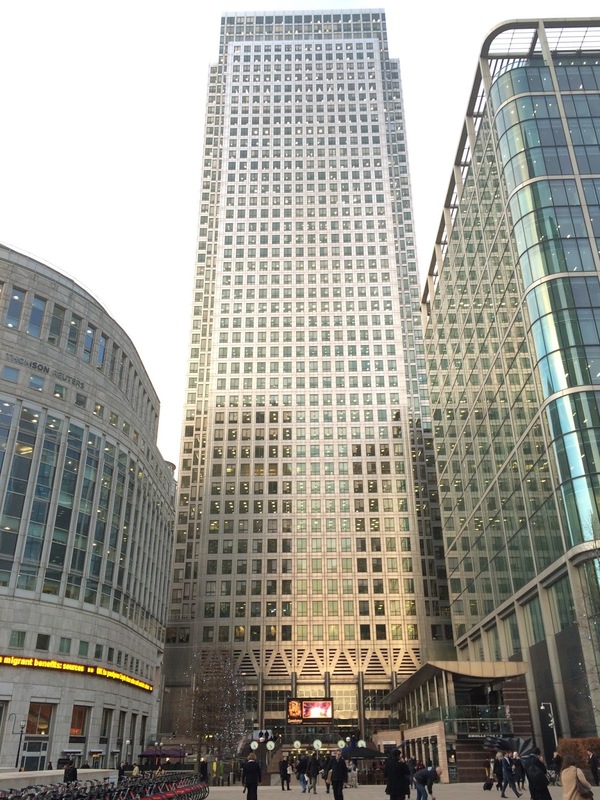 We recently had the opportunity to visit the Canary Wharf Group's offices at One Canada Square in London's Docklands district. They have a panoramic view of the City of London from their 39th floor office. The company has built an impressive physical model (pictured below) of the existing Canary Wharf buildout that includes models of the proposed and under-construction towers in the quickly expanding business district. The graphic directly below shows the location of their office space in our floor visualization app. 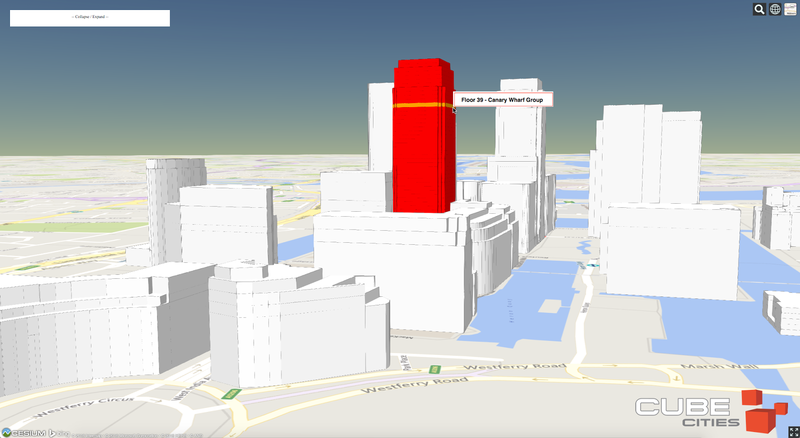 London's Canary Wharf is a perfect example of a dense urban area where floor-level data visualization has many applications to communicate the varied aspects of large-scale mixed use development.